The trophy measures 16cm in height. 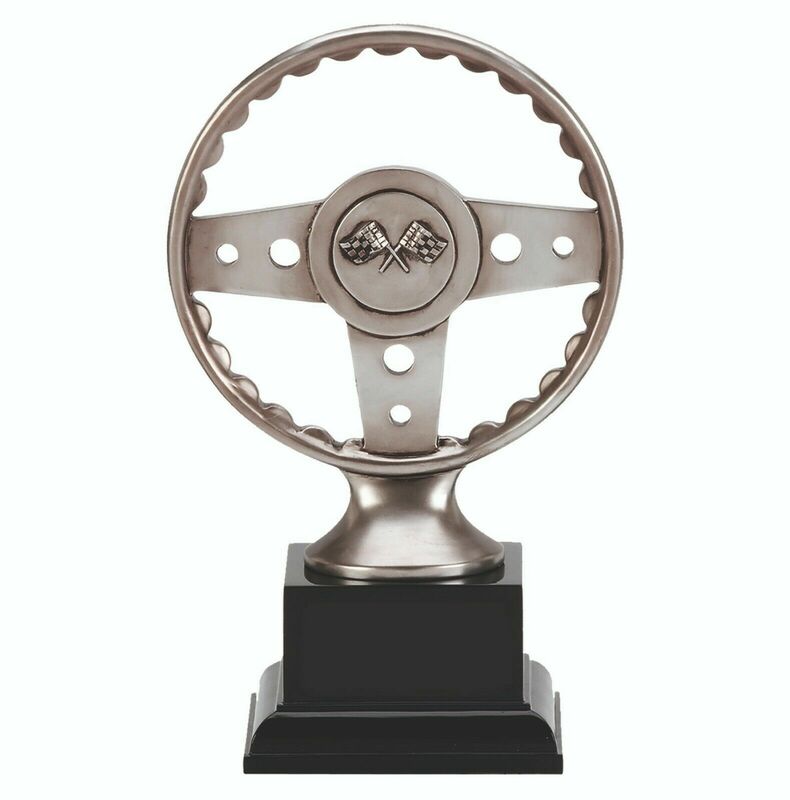 Features a silver steering wheel on a black base, where we can place a engraved silver plaque. Engraving is placed on a plaque, engraving can be approx 4 lines of 25 characters per line, including spaces. We engrave in an easy to read font.